In clinical trials, it’s all about combining the Sponsors’ aim to improve the health of humans with the applicable regulatory agencies job of assessing the new drug compound for safety and efficacy. The investigator site is the starting point in the chain where clinical data is being generated to support the drug approval process. Eurofins Central Laboratory is focused and dedicated to fully support the processes at investigator sites, demonstrating the utmost respect for all individuals participating in clinical trials. Eurofins Central Laboratory offers 24-hour support to investigator sites all over the world. Our Investigator Services Centers are strategically located in the United States, Europe, and Asia. The EMDP user manual is published on the EMDP system. The FETCH user manual is published on the FETCH system. The Investigator Services Centers are managed globally and use the same interconnected IT system for administration, monitoring and trend analysis of queries. The Investigator Services staff members actively contact investigator sites to resolve any queries, inconsistency or missing information. In addition, the Investigator Services Centers support investigator sites to resolve questions with regard to specimen collection kits, shipping materials, instructions, resupplies, transport and much more. Please use the drop down menus below to find the Toll Free Numbers by country. Please note that calling international Toll Free Numbers might be restricted by local phone provider or your organization. kit assembly facilities to support investigator sites around the world. 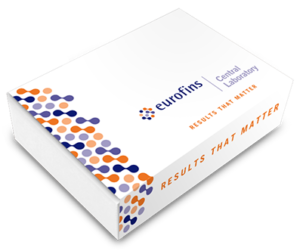 Eurofins Central Laboratory has two wholly owned, GMP certified Kit Manufacturing and Distribution facilities globally; 16,000 square feet of dedicated space in Oosterhout, NL and 8,000 square feet of dedicated space in Louisville, KY. Combined these two facilities manufacture to protocol-specific customization, and distribute globally, 600,000 kits annually. Our Oosterhout facility is located within close proximity to our Breda, NL laboratory facility and our Louisville, KY facility is located within 16 miles of the largest UPS hub in the USA. Both of these locations provide strategic placement with the manufacturing and distribution requirements of clinical trial kits. By consolidating your analytical requirements under the Eurofins Scientific group of Biopharma divisions (Central Lab, Bioanalytical, Virology, Genomic, Pathology) we will be able to consolidate all consumables required by site activity, into one comprehensive service offering/clinical trial kit. This will offer reduced complexity at the investigator site level, by providing them all supplies in one shipment/one comprehensive kit, as well as reduce study budgets by consolidating and reducing the number of both outbound material shipments and return biological specimens. Read more. Laboratory results are reported on a daily basis by email, fax, and 3-part NCR reports by mail. Based on the specifications of each Sponsor, investigator sites may be granted online access to their site-specific laboratory results using the Eurofins Data portal (EMDP).